A Bosnian Serb leader has falsely claimed that the Srebrenica massacre, in which more than 8,000 Muslim men and boys were killed, is a “fabricated myth”, The Independent reported. The victims’ bodies were thrown into mass graves in the following days. The International Court of Justice and the UN war crimes court for the former Yugoslavia in the Hague have ruled that the killings were genocide. “[Bosnian Muslims] did not have a myth, so they decided to construct one around Srebrenica,” Mr Dodik said on Friday. Radovan Karadzic, the political leader of Bosnia’s Serbs in the 1992-95 war and Ratko Mladic, who served as the group’s military leader, have both been sentenced to life in prison for the genocide and other war crimes. More than 100,000 people died in the Bosnian conflict, while millions were left homeless. 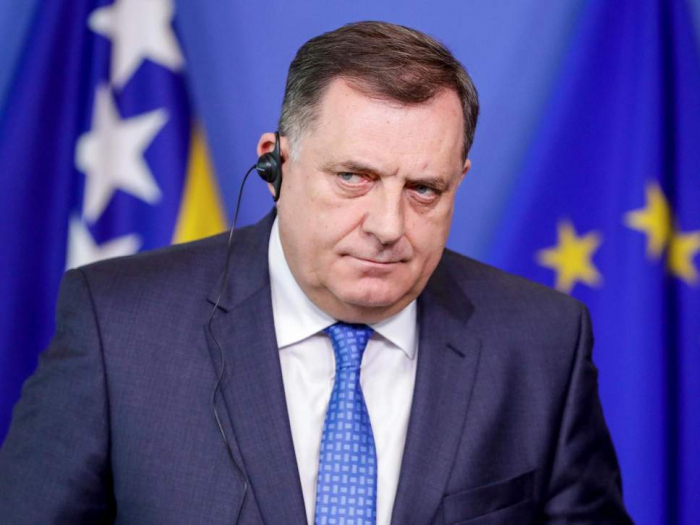 Despite this Mr Dodik has repeatedly downplayed the Srebrenica massacre, which was one of the most brutal slaughters in Europe since the Second World War. Other Bosnian Serb politicians have also denied that genocide was ever committed, including Mladen Grujicic, the current mayor of Srebrenica. Bosnian Serbs have also set up a commission aimed at establishing the “truth” of what occurred. Muslims in Bosnia have condemned Mr Dodik’s comments. “Srebrenica is a court-proven fact, just as [it] is a court-proven fact that the military and political leadership of the Bosnian Serbs have been convicted of a joint criminal enterprise and genocide,” said Ramiz Salkic, a Bosnian Muslim official. Over 6,600 Srebrenica victims have been identified but experts are still excavating the victims’ bodies from hidden mass graves. Researchers have used DNA analysis to put the bodies back together after perpetrators, trying to hide their war crimes, scattered victims’ remains across many miles.